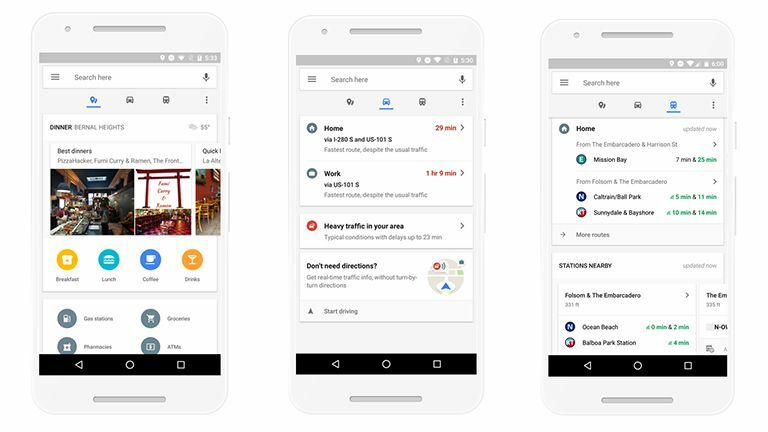 Google has announced that starting from today it is rolling out an update to Google Maps on Android that delivers a wealth of new features focused on delivering real-time information updates to users. The news was communicated today via Google's official blog. As such, now when a user swipes up in-app from the bottom of their screen, they won't just receive static information but currently-relevant, curated information centred around popular focus areas such as traffic, dining and public transport links. For example, under the places tab the new update now allows curated lists of nearby places to eat and drink no matter where you are, while local everyday conveniences like ATMs, pharmacies and petrol stations are also listed, with relevant real-time updates such as opening hours. Real time updates are also now delivered under the driving tab too, as well as traffic conditions, while under the transit tab real-time recommendations about which bus or train you should catch are also now listed, meaning that you can see exactly when you need to be ready to board.